Inspired by the Roadies and Sports Cars thread, so who else into watches as well? Beautiful. Love the submariner. 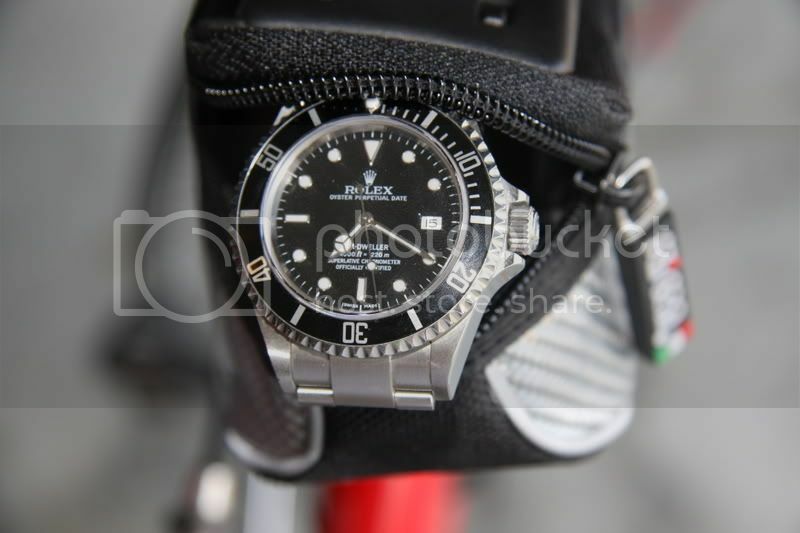 I have an Omega Seamaster (a less expensive close relative) but I'm too afraid to wear it in rides in case of a crash. Do you wear a cheap watch while riding or do you wear that? I wear a 1952 Omega, SeaMaster (sadly no pic because it's being cleaned). I've had it for ten years. Only people who know watches comment on it... that's how I like it. I never wear the watch during rides, too scared of crashing and destroying it. The Seamaster is a great watch! Which one do you have? 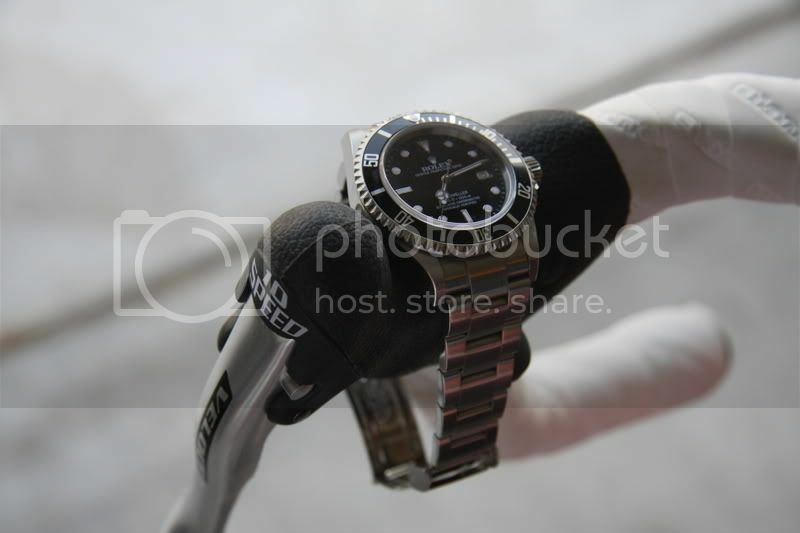 So does the bike act as an auto winder for your Rolex? the Seamaster Professional 300m Chronometer in blue, 2007. 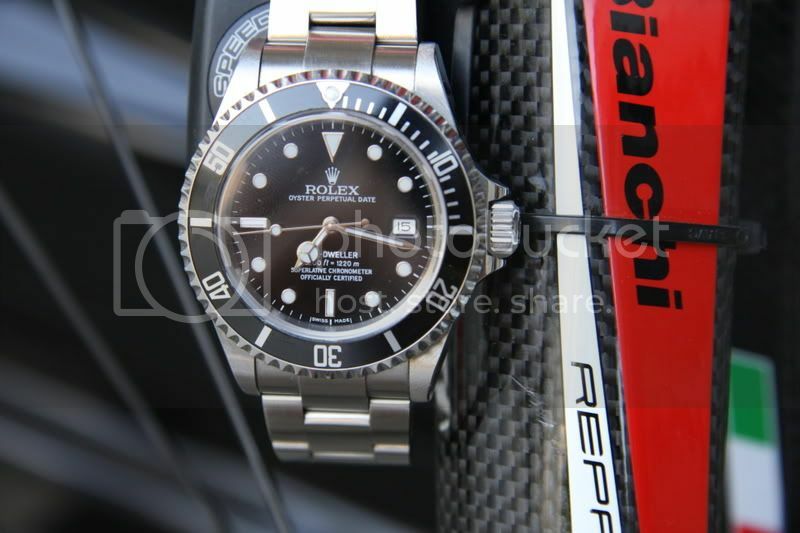 Ah, I'd love to get the Submariner too someday. 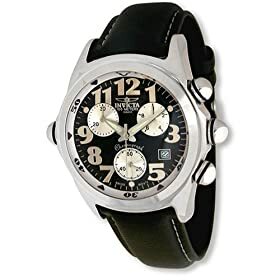 I just started looking into automatic watches when my primary watch had a broken clasp, and 6 out of 6 quartz backup watches had dead batteries. No more quartz for me. No need to wear a watch on a ride, the bike computer has a clock, no? I am tring to decide between a Rolex and a Maurice Lacroix. Those retrograde complications on the ML are pretty cool. found an image -- here it is. Wow. 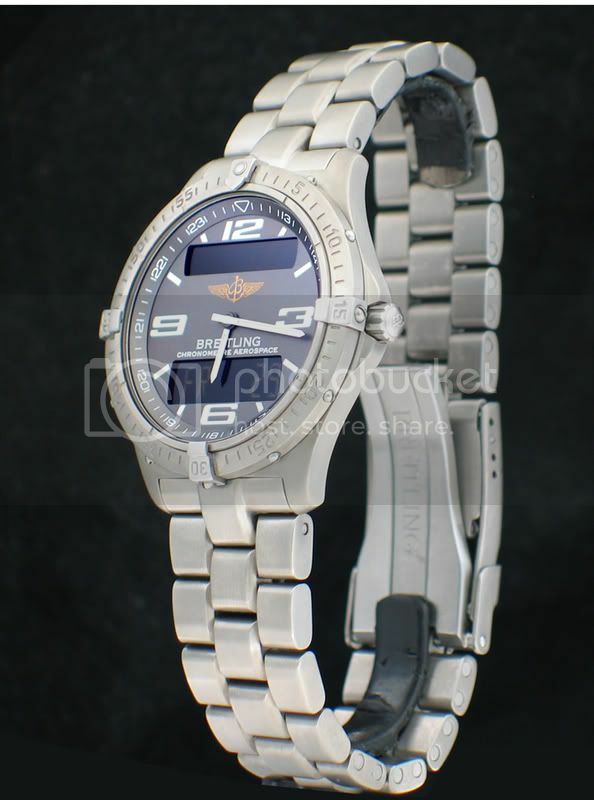 You paid that much money for a Breitling, with an out of house quartz movement. When are you buying a Ferrari with a Hyundai 3 cylinder engine. IWC and JLC make some pretty interesting watches in that price point as well, although I believe the lower end IWC's use a heavily modified ETA movement while the higher end use the in house JLC movement. hey i have a seamaster too, but most days of the week i can be found in my oris regulator. Sold a couple of Rolexes, good watch but bored me after a while. Sporting a Breitling Chronomat Evolution, Ball Engineer Hydrocarbon, Oris Mile Tonneau Chronograph, Tag Heuer Chronograph among others. Would love a Panerai or a Graham Chronofighter as my next watch. and nice sea dweller by the way, i aspire to own one someday. Breitling Super Ocean when I am not wearing the Suunto T3. Just like my road bikes, I like the C & V type watches. My ATF is a late 60's Longines Ultrachron in perfect working condition with the original band and signature clasp. But I ride with an el cheapo Dakota digital that usually gets burned out from sweat penetration within one year. i ride with panerai because i don't need glasses to see what time it is. Don't get it - those watches are boring and/or fugly. But hey, guess you've gotta substitute for your small crank somehow right?! I have several nice timepieces that I've been willed over the years, including several Omegas. But my everyday watch is this one...bought used off Ebay of course. I never could adjust to wearing a watch. They've just always been uncomfortable on my wrist. My dad and siblings (male) have wristwatch tan lines. I don't know how they do it. I simply stuff my cell phone into my saddlebag. Although time on a ride is never a great concern of mine. At work, I just look at the clock/clock radio or the computer. I had a really nice and extensive watch collection that was stolen several years ago now I'm down to a GMT II a couple of Hamilton tank watches and a Rolex bubble back. It took you seven minutes to take three pictures. You are slow. I have no idea what this means. Nor do I care. Good grief it's a Watch Weenie. I bought the watch because it looks cool, it's light, and it's titanium. I had an Aerospace for ten years until 2007 when it popped off my wrist while cycling. Now I wear my old Seiko Ti watch when I ride and the Breitling the rest of the time. Watch sales have declined for the past several years - cell phones, Ipods, etc., come with clocks. I don't wear one because it's that much extra weight to pedal up a hill, and my cyclometer has a clock. Watches have long been obsolete for most. Even so, a $15 digital will provide all the function you need at a very light weight. I don't think I'll ever be able to kill my cheapo ironman. This isn't about function. Watches are jewelry, and like most things BF, serve as a great way to parade e-wangs.